Ready, steady, go! Time for holidays, the beach or the swimming pool. And here, at Pisamonas online shoe store, we make it easy for you to choose your flip-flops and your beach shoes from the comfort of your home, for low prices. The really renowned and trendy brasileras flip-flops for instance. 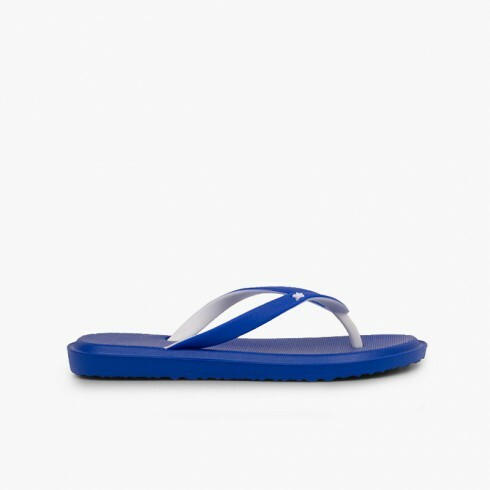 Comfortable, our jelly sandals are the best beach wear to avoid sandy feet. Or to wear at the swimming pool both in winter and summer, and why not, to explore the rocks with your kids without slipping. Say Hello! to sunny weather and water with these women's rubber sandals we bring for you at our footwear store and for the best price. And when it is time to go for a walk, go out for a meal or dinner, a pair of espadrilles , avarcas or ballet pumps from our collection are just the right accessory to look fantastic.